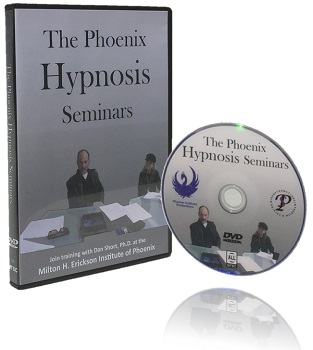 The Phoenix Hypnosis Seminars is a collection of private teaching seminars conducted in 2016 for members of the Milton H. Erickson Institute of Phoenix. Each session is lead by Dan Short, Ph.D., who has been teaching and training professionals since 1995. 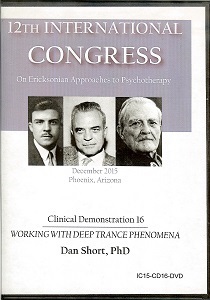 In keeping with the informal style of Ericksonian Hypnosis, Short leads the audience in and out of trance as he demonstrates the relative ease by which therapeutic suggestion can be conveyed. This video will be enjoyed by professionals and students who are new to hypnosis as well as those who are seeking a deeper understanding of the conversational approach. This core Ericksonian skill set is taught within the context of Short’s transformational problem solving model. Challenged is a collection of private teaching seminars conducted in 2016 & 2017 with members of the Milton H. Erickson Institute of Phoenix. In these lessons, therapists reenact their most difficult encounters with patients as Dan Short seeks to uncover unique opportunities that exist within each problematic situation. This video will be enjoyed by any professional who cares about people in need and wishes to succeed where others have failed. Graduate students in mental health care will also benefit from the experiential wisdom shared by several seasoned therapists. This demonstration and discussion of collaborative problem solving is meant to increase the confidence and ease by which therapy is conducted. In order to realize the fantastic nature of our best selves, we must have our core skills challenged.